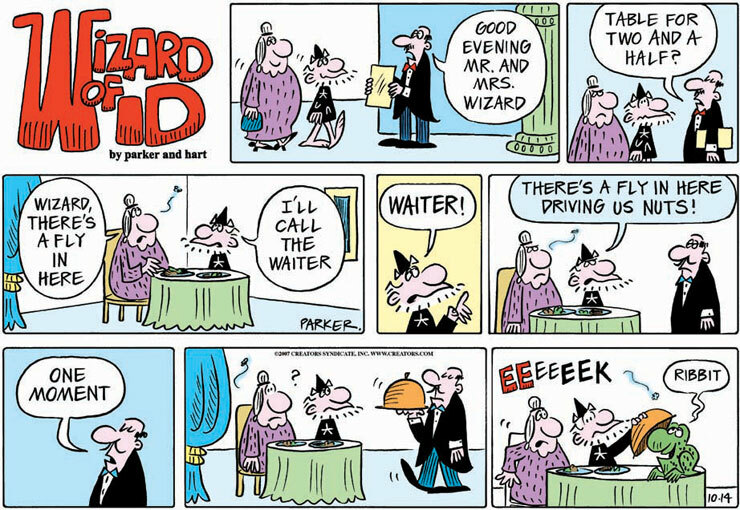 The Wizard of Id is a daily newspaper comic strip created by American cartoonists Brant Parker and Johnny Hart. 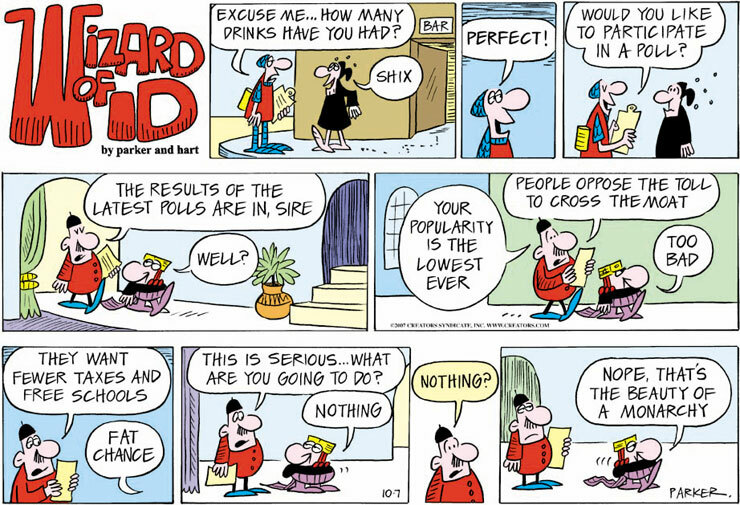 Beginning in 1964, the strip follows the antics of a large cast of characters in a shabby medieval kingdom called "Id". From time to time, the king refers to his subjects as "Idiots". The title is a play on The Wizard of Oz, combined with the Freudian psychological term Id, which represents the instinctive and primal part of the human psyche.